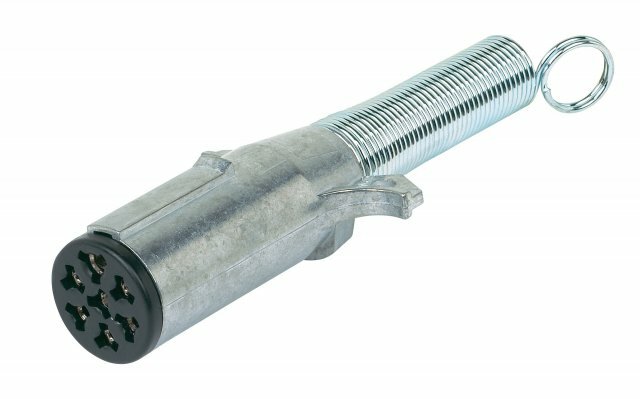 Heavy duty 7 Round trailer side connector is perfect for farming or commercial-fleet large trailers. Die cast zinc housing stands up to the harshest conditions. Included cable guard protector prevents wires from being damaged behind trailer plug.